The patterns and colors in the banner. A simple banner like this and a sentiment on a crisp white card would be amazing! 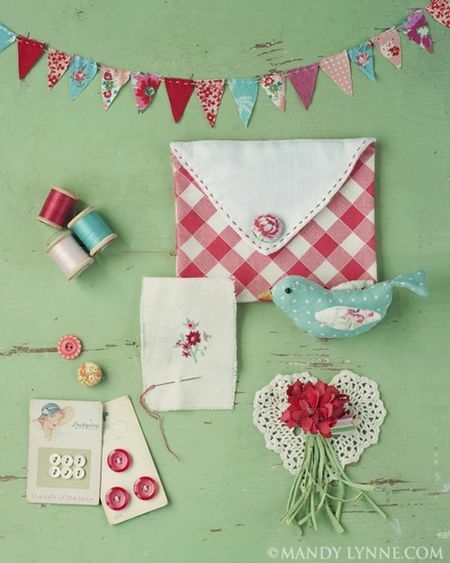 The gingham envelope with the stitched flap and floral button. Could easily be recreated with a mini envelope die or for an overall A2 card front. The vintage button cards could be re-created using Button Boutique, paired up with some of the colors and patterns from the other fabrics included in the photo. The dainty embroidered flowers and possibly a sentiment added with Stitched Alphabet. 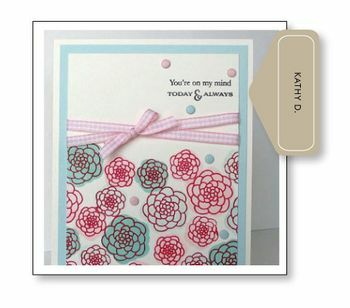 The sweet bouquet of flowers paired with a doily could be interpreted in a million different ways, with dies or stamps! The slightly shabby background could be recreated by swiping ink or paint onto your cardstock, allowing to dry and using a sanding block to remove some of it. That sweet bird! Use your favorite bird stamps or dies to re-create the patterns and colors used on this one. I am sure that many of you will come up with even more ideas! We look forward to seeing all of your creations! -Participating bloggers can add their link to the appropriate list here anytime between 10am EST and 11:30pm EST on July 25th within the InLinkz list below. The title of your post should be "Papertrey July Blog Hop Challenge". 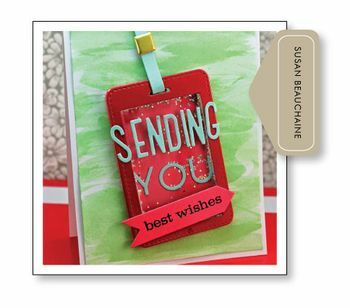 Susan Beauchaine paired up the Tag Sale #11 die and Phrase Play #6 to make this fabulous card! Loving the watercolored background and the glitter inside the shaker element! Kathy D focused on the color scheme in the inspiration photo for her creation. I just love the way she layered the floral images to create a custom background for the bottom portion of the card. 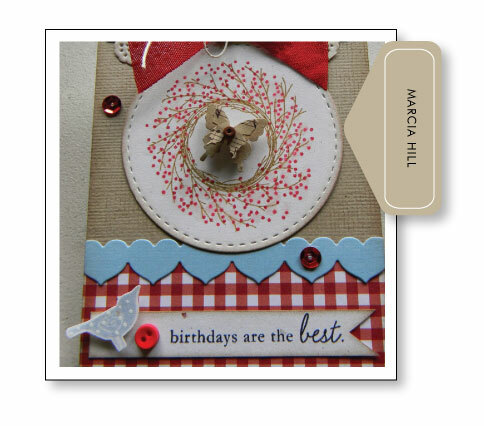 Marcia Hill really layerd it up with her project, bringing in all sorts of elements from the inspiration photo, like the gingham, bird and bow! All of the different textures she used are just amazing! Congratulations to all the winners! Please be sure to send a note to customer service and provide them with the email address you would like your gift certificate sent to. Thank you so much to each and every one of you who played along this month! Have to ‘do school’ first, but excited to see what everyone has made! I have one question though…I see it being done both ways. For the Blog Hop do you only have ONE link for your blog or do can you do multiple links for each project like in a Make it Monday challenge?? Any one know? When participating in the Blog Hop, you will share ONE link to your blog. If you have several projects, you can let visitors know when they come to your blog. I hope that helps. 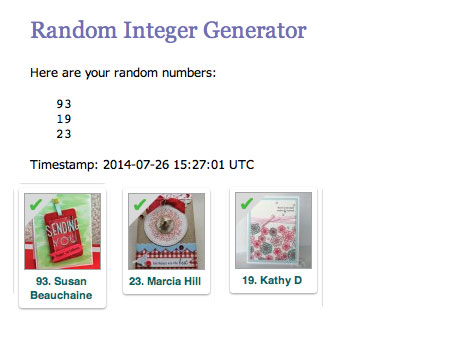 Congratulations to you crafty crafters!